• Edit and annotate PDFs quickly. • Create and convert PDFs from/to other file formats. • Fill forms and sign contracts easily. • Use OCR to transform scanned PDFs into editable text. • Fully compatible with Windows 10. Edit PDFs. Easy, Fast and Smart PDF Editor. 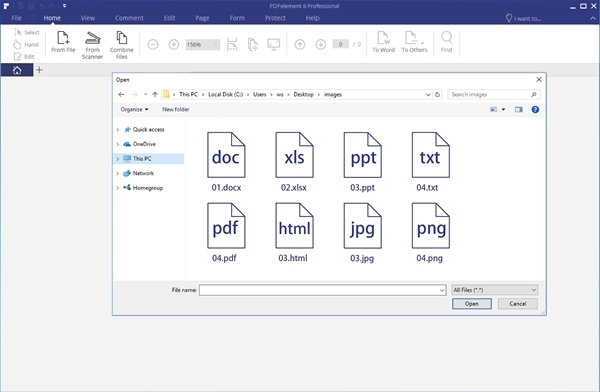 PDFelement for Windows offers the easiest way to edit PDF files, including text, images, links, pages, watermarks, backgrounds, headers, footers, etc. 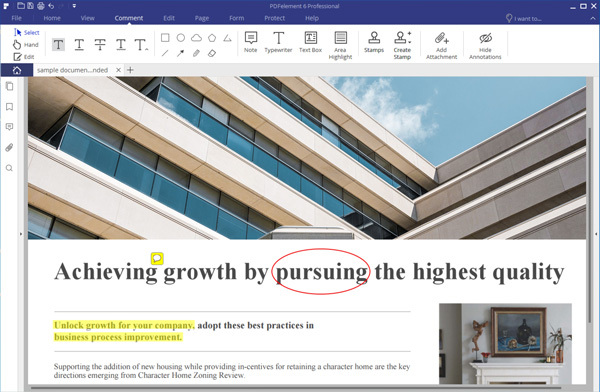 Edit text with intuitive paragraph and single line editing modes. Change the font type, size, and style in your PDF documents with ease. Edit images by adding, removing, copying, pasting, rotating, replacing, extracting and cropping. Annotate PDFs. Better Collaboration of Ideas and Information. Integration with comments, sticky notes, text boxes, stamps, and personalized drawing tools allow for easy document sharing and collaboration. "It's very easy to annotate PDFs with PDFelement. I would strongly recommend it!" Create PDFs. Create Fillable PDF Forms. 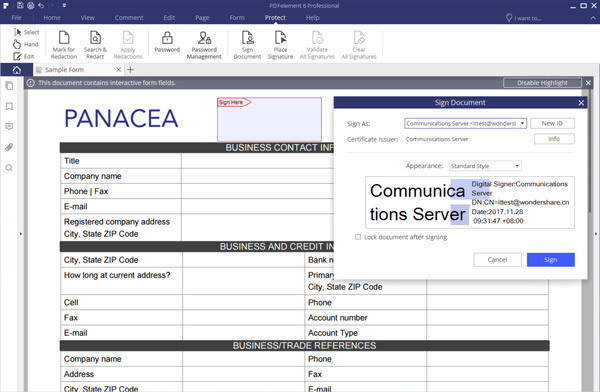 Seamlessly create fillable PDF forms with all types of interactive form controls. Fill out PDF forms easily including tax forms, business forms etc. "I like PDFelement because it allows me to build forms by easily combining hundreds of different templates and file types, so you don't need to start from scratch." Protect PDFs. Encrypt, Redact, and Sign PDFs. Protect information with passwords and permission restrictions. Plus redact sensitive PDF content. Send PDFs to Dropbox. Sign with digital signatures. "I am fully amazed with this smart PDF Editor, I've yet to find a PDF program that works as well as this one. I love it." Looking for additional PDF Editing features? All-in-one PDF Editor for All Your Needs. 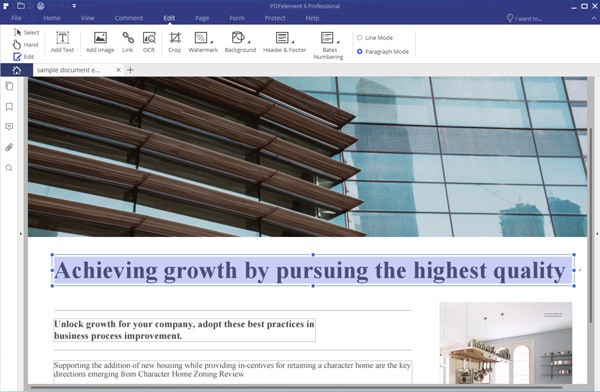 With intuitive design, robust features and affordable price, PDFelement offers the most sophisticated, yet easy-to-use PDF editing features for you in Windows 10/8.1/8/7. Just about everything about PDFelement is beautiful – looks, functionality, features. Cut the cost and complexity – there's an easier way to create and edit PDFs. Powerful PDF reader/editor for Mac and Windows to replace Acrobat.